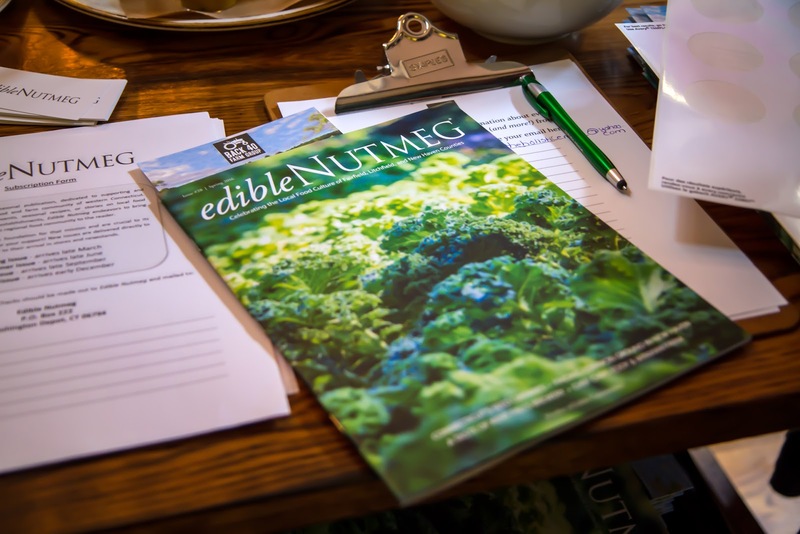 With articles on local chefs, food entrepreneurs, farmers, gardeners, and brewers to recipes, farm market listings, events and more, Edible Nutmeg is a celebration of all things local food. So, of course, how could we not love it! 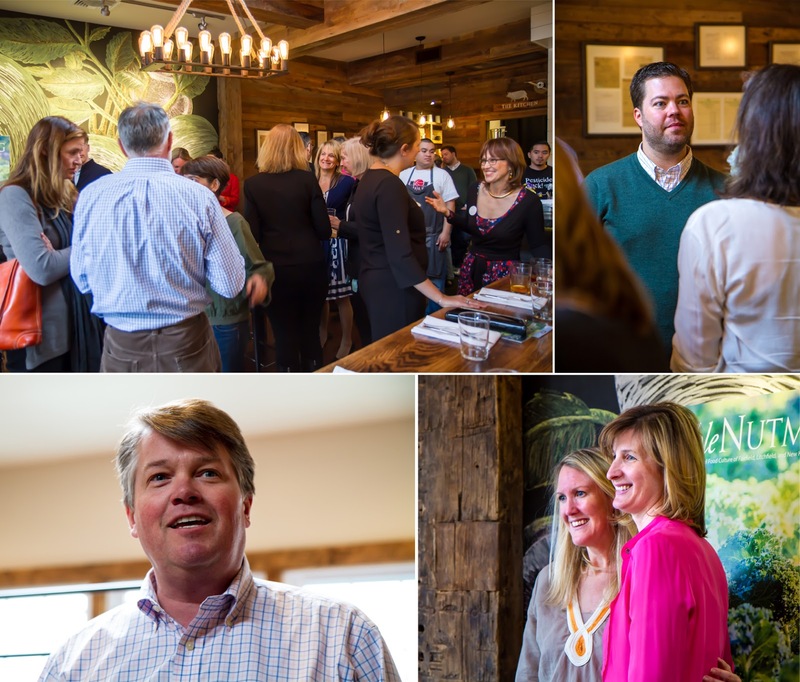 Back in March Renato and I had a chance to meet the new owner/publisher, Dana Jackson, at the launch party of the spring issue held at Back 40 Kitchen in Greenwich. 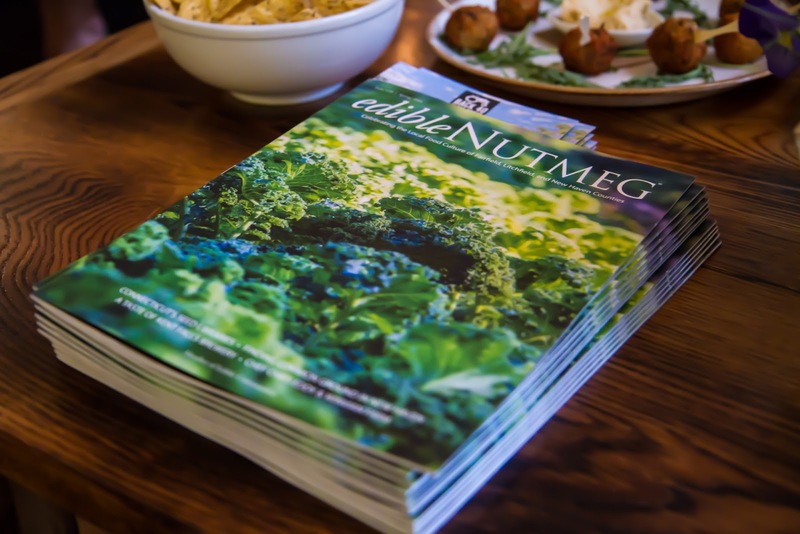 Since 2006, Edible Nutmeg has been a source of information about Connecticut food, farming, sustainability and the local communities supporting the local food movement. Dana relaunched the publication in November 2015 with a more specific focus on Fairfield, Litchfield, and New Haven counties. The print edition is published quarterly and can be found in restaurants and cafes, grocery stores, farmers’ markets, bookstores, retail shops, fitness centers, hotels, and resorts throughout western Connecticut. The beautiful photography and well-written features of the print edition are supplemented with even more content online, including written stories as well as a special video series called Edible Nutmeg on the Road hosted by our good friend Chef Plum. 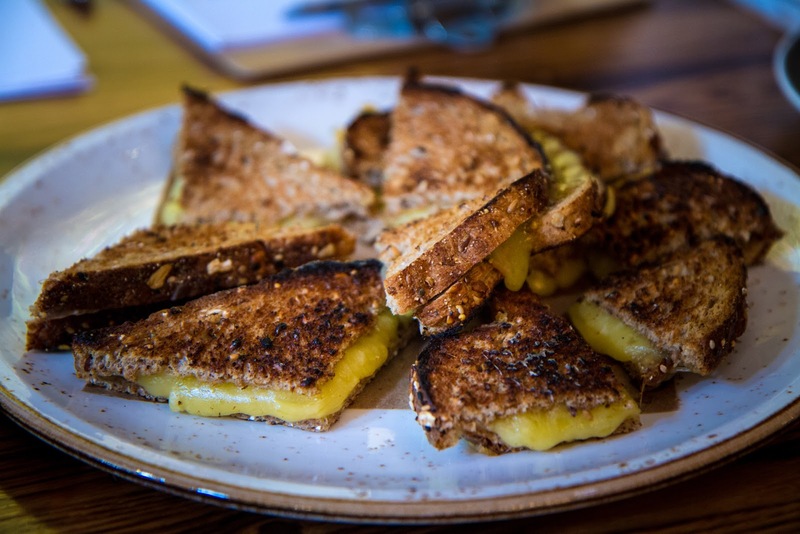 Over a light lunch at Back 40 Kitchen of grilled cheese sandwiches, lentil soup cups, falafel and Cobb salad bites, we got the chance to talk with Dana. He said when the opportunity to take over publication of the Edible Nutmeg popped up, he decided it would be a good way to extend his appreciation and support for the local, sustainable food scene. Originally from California, Dana has spent time as an ocean kayaking guide, a ski instructor, a ranger for the Bureau of Land Management, an English teacher, a freelance writer, and an organic vegetable farmer. 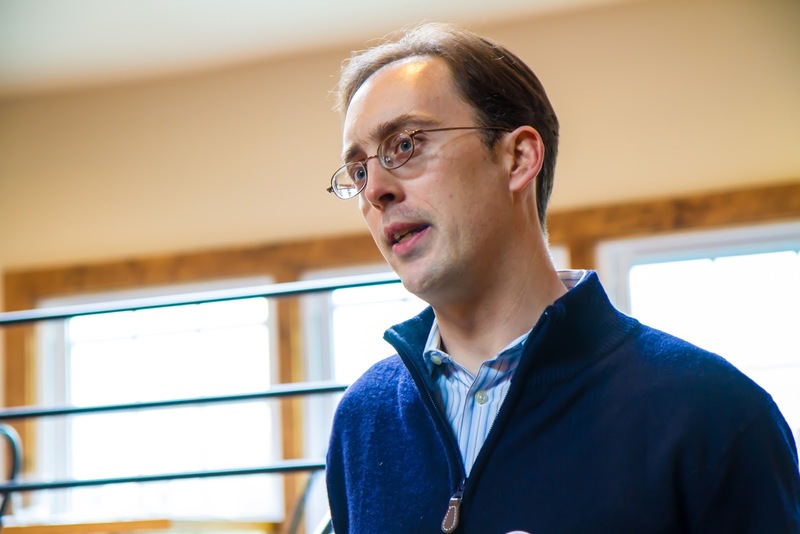 During his time working at Waldingfield Farm in Washington, CT is when he truly fell in love with farming. He was even considering finding his own plot of land to farm. It was then that he met the founder of Edible Nutmeg who was looking for someone to continue the magazine's legacy. It just felt like a perfect fit and the rest is history. We have been long time fans of Edible Nutmeg and are glad to see someone with Dana's energy take the helm. If you haven't already, get yourself a print copy or check it out online. For more information about distribution, subscription, or partnership with Edible Nutmeg visit ediblenutmeg.com. And, give 'em a like on Facebook, a follow on Twitter or a follow on Instagram. So glad to introduce it to you! Never heard of this magazine and it sounds great. Thank you for sharing! Happy to share! Definitely a great magazine.